All TERRAMAR PARCEL 9A homes currently listed for sale in Peoria as of 04/20/2019 are shown below. You can change the search criteria at any time by pressing the 'Change Search' button below. "Gorgeous!! 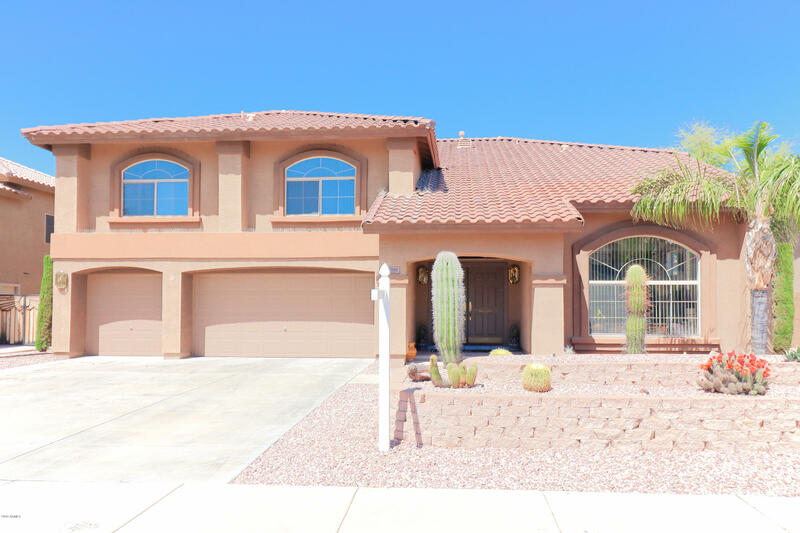 Perfectly located home in Peoria minutes from the 101, 303 and I-17. Come see all the beautiful upgrades that have been made to this spacious home. Tile flooring in all the right areas, carpet in the bedrooms. Open floor plan with separate living room, dining area and family room. Spacious kitchen with lots of cabinets and counter space surrounding the kitchen island. Ample private downstairs guest area. Large bonus room upstairs can be used as a 6th bedroom, office or game room wi"